Choosing between Laminate or Vinyl? Both laminate and vinyl flooring are great and affordable and have a beautiful finished touch. Just like with any product, laminate flooring and vinyl flooring each have their advantages and disadvantages. The Biggest difference between the two is the waterproof feature of vinyl plank flooring. Laminate flooring can and will be damages with access moisture, where as vinyl plank flooring is 100% waterproof. In the case of flooding, vinyl flooring can be uninstalled, dried and reinstalled like new. As for price, both products can range from under a dollar to over $5 per square foot. Both products are ideal options for busy homes with children or pets. 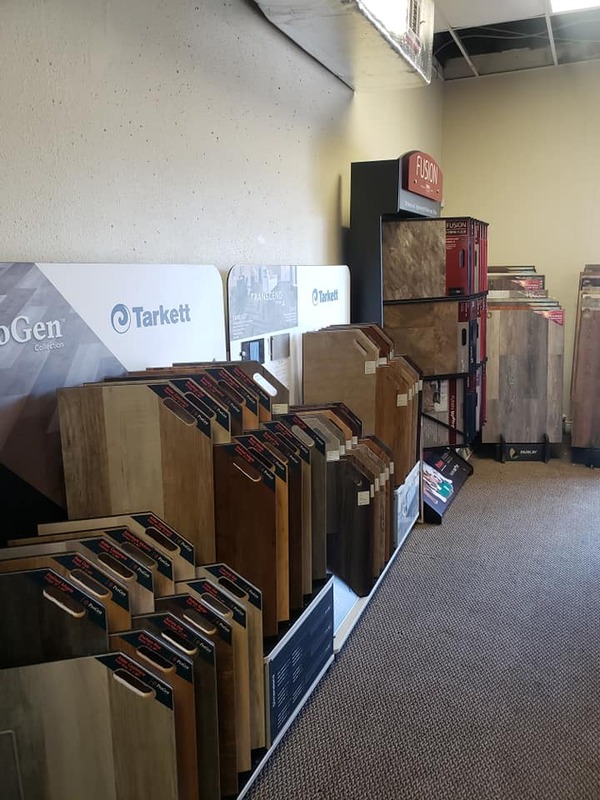 Vinyl flooring is recommended over laminate flooring for moisture prone applications such as bathrooms or kitchens as there is no risk of moisture damage. We chose Vinyl in our home as we have pets and kids and it is low maintenance. I love the way it looks all throughout the house. We have a large selection of Vinyl, lifetime installation guarantee, best pricing available in Tampa Bay area! Good thing is it can go right over existing tile flooring so you dont have to go through the cost and mess of ripping old tile out.